Majjiga Pulusu is an easy way to use more vegetables in every day cooking. Make it with different vegetables like squash, eggplant, okra and zucchini. Don't forget to make it with home made yogurt. ﻿2-3 cups of yogurt. Sour yogurt is better. Butter milk can be used too. 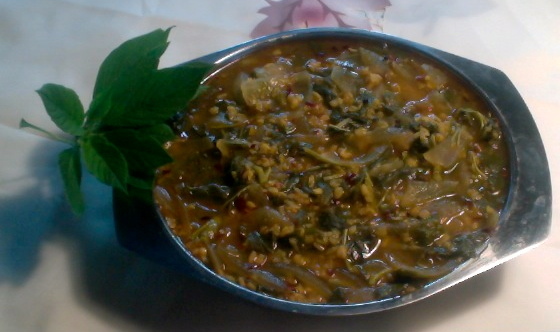 vegetables like bottle gourd(squash), okra, eggplant. 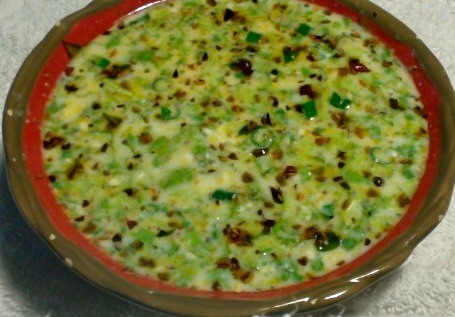 Here I used only bottle gourd. 2 inch piece of ginger. 2-3 tsp of ghee or oil. 1/8 tsp of fenugreek seeds. Cut green chili length wise. Take yogurt into the blender jar and add besan, coconut and ginger. Blend all these ingredients with some water. 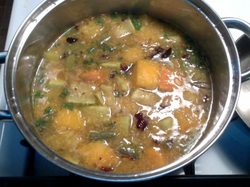 Take vegetables, green chili, turmeric and little salt into a vessel and add some water. Keep this vessel in medium heat. Cover them and cook for 5-7 minutes. Then bring the heat down to low or low medium. Then add the yogurt mixture. Keep stirring the vegetables while you add the yogurt. So that the yogurt will not curdle. Besan in the yogurt also helps not to curdle. Let it cook on low or low medium. Now prepare the seasoning. Keep a small pan on medium heat and add ghee or oil to it. 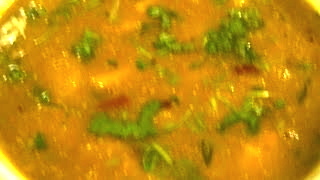 When the oil is hot add fenugreek seeds, mustard seeds and cumin seeds. Keep stirring. When the mustard seeds starts spluttering add red chili, hing and curry leaves. Add this seasoning to majjiga pulusu. Let the majjiga pulusu boil on low heat for 5 more minutes and turn off the stove. Add cilantro and mix it well. Serve it hot or room temperature with whole grain brown rice. you can also enjoy it as a soup. 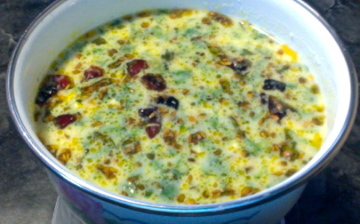 Majjiga pulusu can be a weight loss recipe if you take it as a soup without rice. It fills you up because of the more liquid content and then you will not be hungry a lot. Yogurt or butter milk gives you cooling effect for the body. Bottle gourd is good in controlling blood pressure.